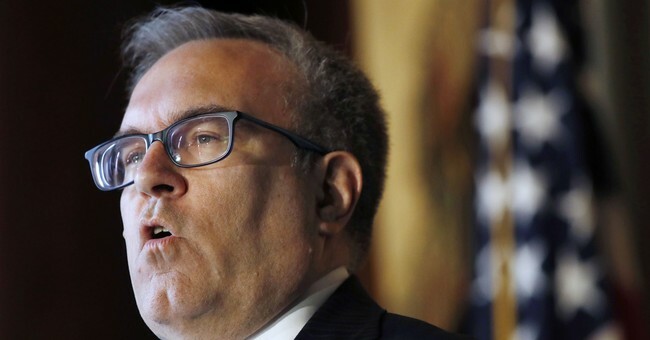 Despite the claims by ethanol lobbyists, new data from corn country itself show that ethanol sales continue to surge while Andrew Wheeler’s Environmental Protection Agency (EPA) provides relief to the nation’s small and independent refineries that are struggling to get by. According to University of Illinois agricultural economist Scott Irwin, “My view is that the RIN has nothing to do with blending margins for ethanol.” Translation: farmers are not receiving even the slightest degree of pain while the EPA works to protect the thousands of blue-collar refinery jobs that are in jeopardy because of the Renewable Fuel Standard’s inherent subsidization of big oil companies. The RFS requires all transportation fuels sold in the U.S. to contain a minimum level of renewable fuels, such as ethanol. The RFS mandate is legally considered satisfied when the fuel holds 10% ethanol. When that point of obligation is reached, a Renewable Identification Number (RIN) is assigned to the final blended fuel. These RINs numbers are tallied up regularly by the government to ensure every refinery hits its blending quota. However, since smaller refineries have lower economies of scale, they have an extremely difficult time blending ethanol themselves and are often forced to purchase excess RINs from big oil refineries, which intentionally produce more than they have to and sell their excess receipts on the open market, providing an effective subsidy for ethanol production. Due to big oil’s price gouging, this has significantly added to small refineries’ costs, with RINs now costing some refineries double their payroll costs. To prevent this unintended distribution of wealth from continuing, the EPA has used its statutory authority to provide exemptions to small refineries that are struggling to get by. This move has caused an uproar from many within the ethanol industry, which argue that increased exemptions can reduce the demand and lower the price of RINS, an occurrence that lobbyists present as a stab at the very farmers the president pledged to protect. While this might seem to make for a compelling argument on the surface, we now know that it is nothing more than mere lobbyist spin utilized with the intent of appealing to the farmer-friendly Trump administration. Per a new analysis from Irwin, “the data now clearly shows that small refinery exemptions (SREs) under the RFS [Renewable Fuel Standard] have not reduced physical ethanol use.” Furthermore, Irwin’s study shows that increased small refinery exemptions and lower prices for Renewable Identification Numbers (RINs) are not reducing the production of ethanol, nor reducing the degree of ethanol blending into gasoline. Irwin’s projections are not standing alone either. The U.S. Energy Information Administration (EIA) also believes that 2018 maintained robust energy consumption, projecting in its latest Short Term Energy Outlook a small uptick of ethanol blending in 2018 compared to 2017. The lesson here is that not only is the EPA doing the right thing by helping the small refineries that are getting shafted by the unintended consequences of the RFS, but that it should keep the findings from the EIA and Iowa's own at the top of mind while it continues deliberating future policy. As the EPA gets ready to set new annual renewable volume obligation requirements, the agency should now recognize that setting blending requirements more in line with market realities will do nothing to farmers, helping small refineries stay in business while only hurting the bottom lines of the crony, subsidized big oil firms that are using the RFS for financial advantage. Just because Congress may never do its job by passing meaningful RINs reform to help does not mean that the EPA should not use its existing authority under RFS to step in and do what it can to ensure that farmer and oil interests coexist peacefully. In fact, it’s Andrew Wheeler’s duty to do so. Here’s hoping that he stays the course.